The well from which visual art arises in the soul is a place difficult to put into words. Artists express what is in this place through what they put on paper or canvas. It is a fountain that is forcing its way out, pushing to the surface to be expressed. The fountain pours out, spills over. What needs to be said appears on the surface. What and how the expression is said is more or less directed by the individual artist. The important point for artists is whether their art must be literally understood or is it open to the translation of the observer? 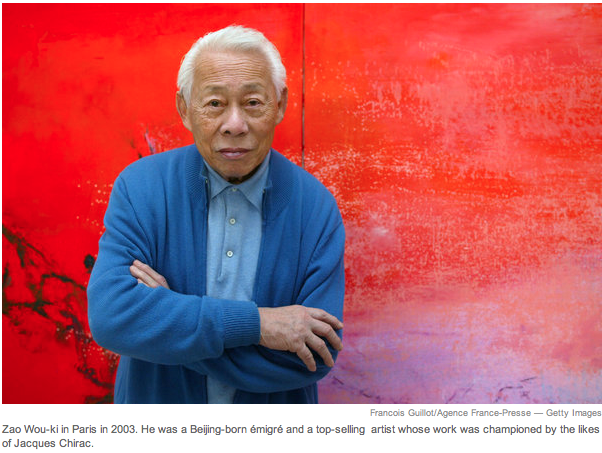 This past April, Chinese-French artist, Zao Wou-Ki passed away leaving behind a legacy of art that bridged two cultures. Julia Grimes has written extensively on Zao and his art. Grimes quotes Zao in her article for CNN, “French and Chinese thought are not the same. It’s hard to translate between them. Sometimes you must wear yourself out trying to understand. Painting must express these feelings.” Zao’s art expressed what words could not. Zao tells The New York Times, “Everyone is bound by culture. I am bound by two.” He had no words to adequately communicate the two cultures he inhabited. Painting did that for him. Does an observer understand Zao’s struggle between two cultures? Or does the observer simply see art that is pleasing to the eye? Does it matter? Zao was immensely successful. The language of his art spoke to others on many levels. Whether others saw or understood his struggle did not affect his success. The question for artists in their own work is if it is important for the language of their work to be understood literally? If understanding is the important factor then a decision must be made as to how best to get the point across. If the point is open for the interpretation of the viewer, more freedom of expression is possible. It’s the artist’s language. Each artist can decide how to speak it. 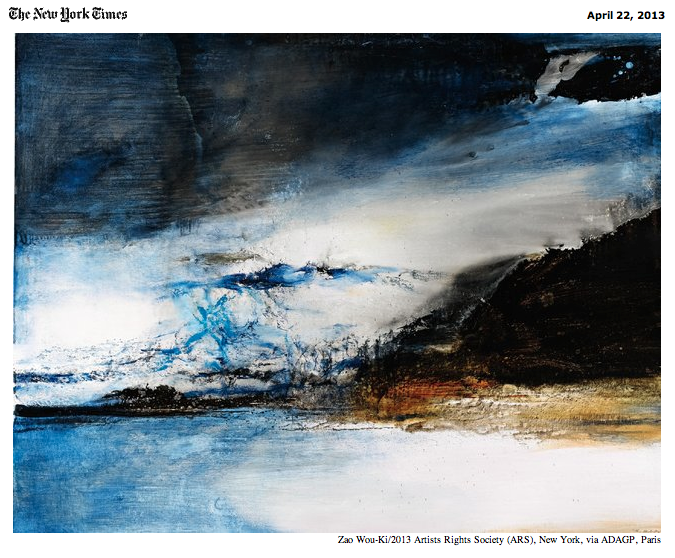 This entry was posted in art, art education, art museums, creativity, drawing, inspiration, Painting, Uncategorized and tagged Art, CNN, Directories, New York Times, Understanding, Visual Art, Zao Wou-Ki. Bookmark the permalink. I find it incredibly neat that he was “influenced” by two different cultures. I agree! They are quite lovely!! I also think that the two cultures inhabited in him, facilitate an unique output of his artworks : the east and the west, its mix. Sometimes I do find his paintings filled with oriental elements, but how he applies colours is very western. He is a really nice mix of both cultures! Isn’t he a wonderful artist!! Thanks for the comment! !